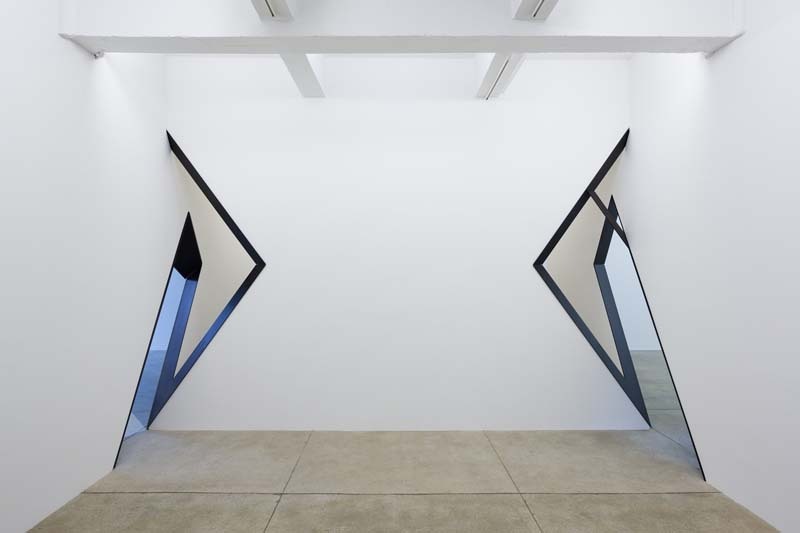 NYC-based artist Sarah Oppenheimer‘s work blurs the line between sculpture and architecture. 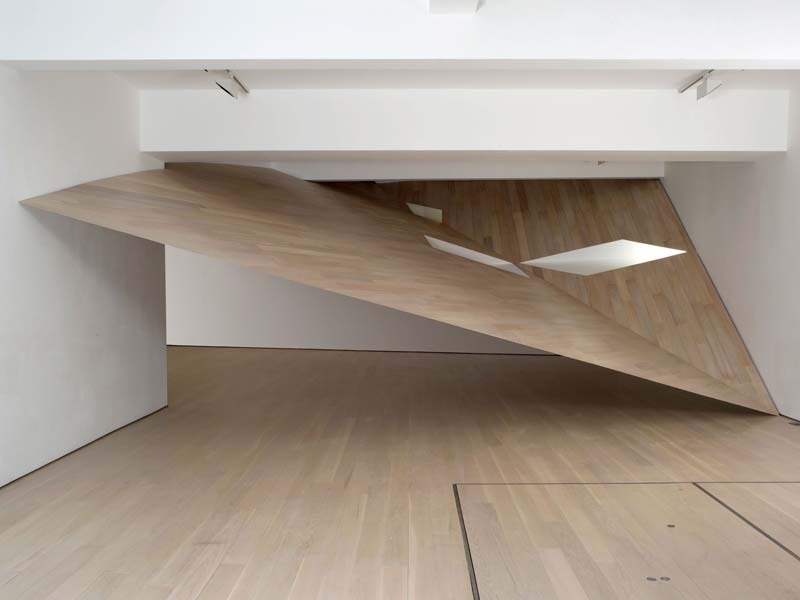 Her amazing installations usually involve moving walls, slanting floors, and creating apertures—sometimes symmetric, sometimes asymmetric, and often with mirrors—that would mesmerize (and confuse) the most resistant of gallery/museum guests. Much in the way James Turrell or Doug Wheeler can create spatial confusion with light, and Richard Serra can take over a space with his torques, Oppenheimer makes the gallery itself—and the experience of walking through it—the art. All her works are identified by letters and numbers such as D-33 (second photo from top) making them all the more abstract. Each work is meticulously planned with mechanical drawings and engineered load tests, then executed with precision. I can’t wait to see one of these in person.